Perfect frames for fall photos are Brisk and Flourish. 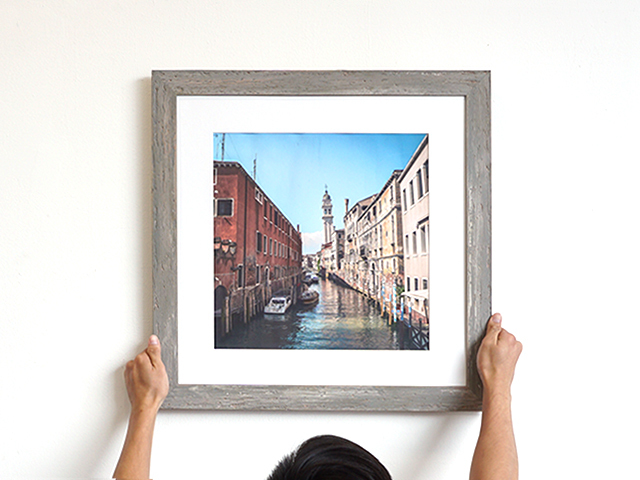 Brisk is a rustic frame with matting that works well with black and white photos. 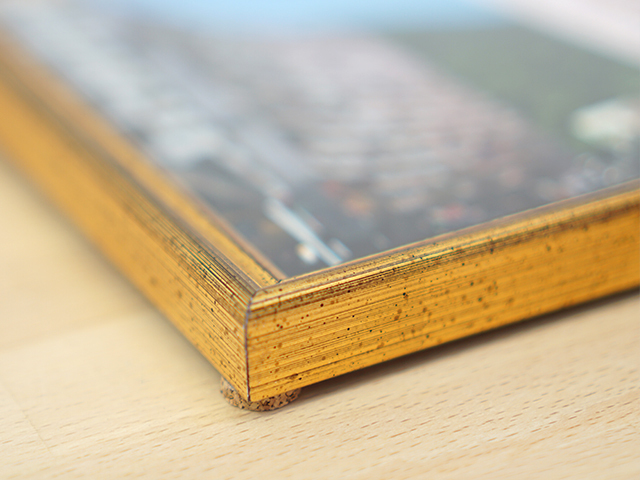 Flourish is a gold frame that looks festive and fun, awesome as a gift for friends and family. When in need of a classic looking frame we recommend our medium Dawn frame. 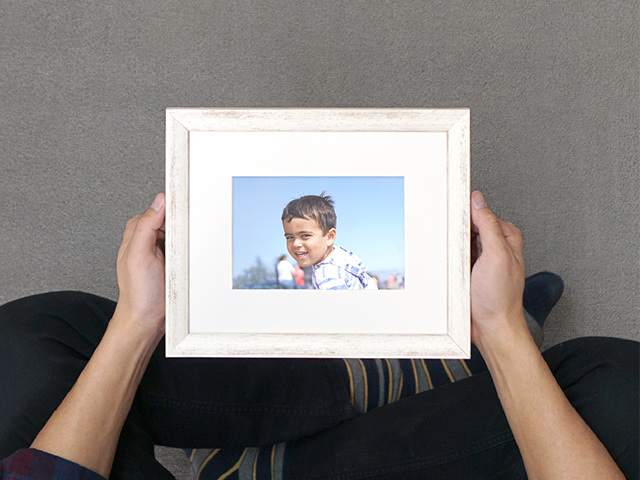 It’s a clean, bright frame that makes any photo pop. 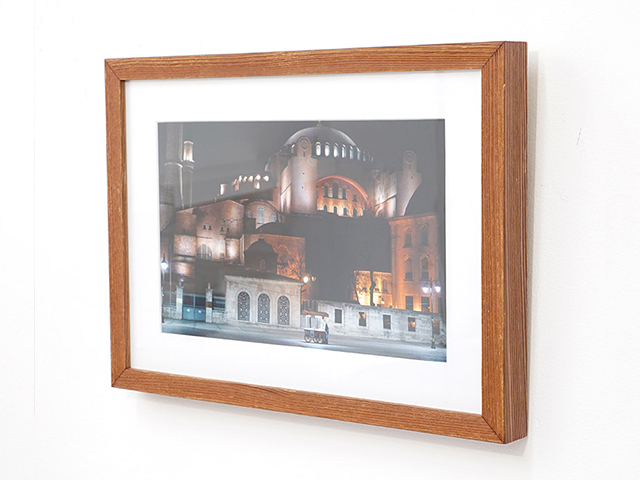 Best for nature and scenic shots, it looks well on any gallery wall. For a slightly rugged, natural looking frame we suggest Hudson. 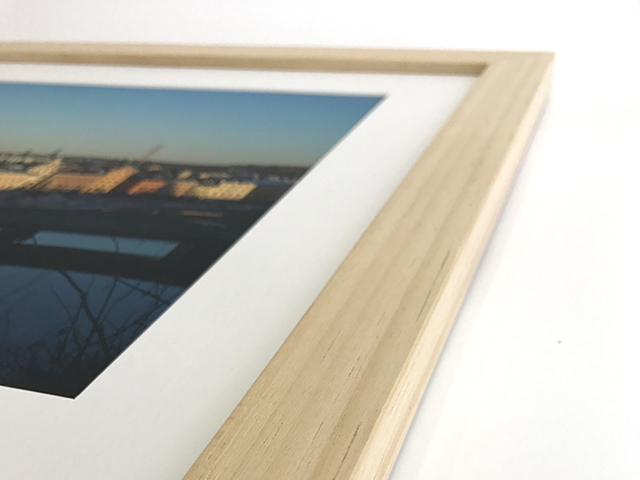 This frame accentuates portraits and group photos, the attractive brown color also looks great with fall foliage photos. 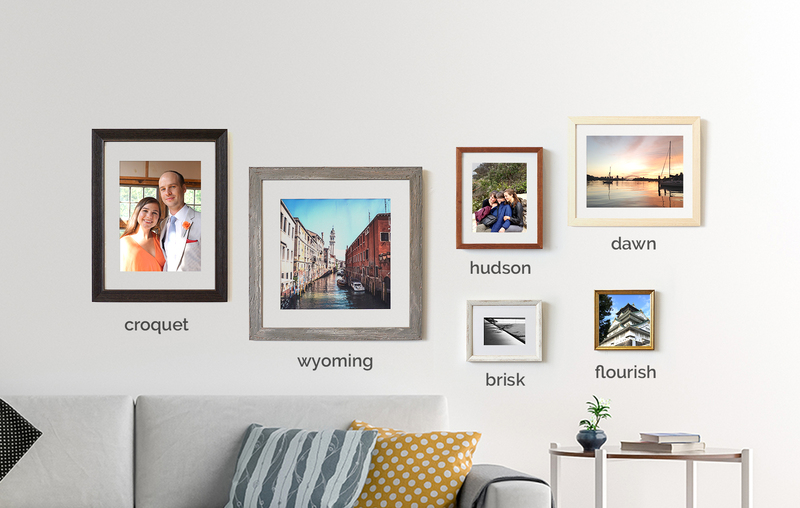 Our most rustic frame - Wyoming offers three neutral colors (dark and light gray, and beige) which enhance the photos without stealing the show. For a more low key frame that also offers an interesting texture Croquet is a good pick. The darker moulding is a step up from a plain black frame and it mixes well with a variety of other frames.